Set against the imposing backdrop of the Andes Mountains, the Chilean capital is regarded as one of the most modern and safest cities in Latin America. We invite visitors to explore the streets of Santiago, visit their museums, art galleries, discover their hidden corners and taste the fine cuisine which are all available throughout the year. Engage with its mix of old and modern architecture and take advantage of the surrounding areas. Direct international flights from Europe, Australia, New Zealand and the Americas. Main Square – Cathedral - Central Market- San Francisco Church - Santa Lucía Hill - San Cristobal Hill - La Chascona Neruda’s museum - La Moneda Palace - Museo de la Moda (Fashion Museum) - Peluquería Francesa - Centro Cultural Gabriela Mistral - Museo de la Solidaridad Salvador Allende - Parque Bicentenario - Parque Forestal - Palacio Cousiño - Museo Nacional de Bellas Artes - Museo de la Memoria y de los Derechos Humanos (Human Rights Museum) - Museo Histórico Nacional and many others. We will travel from the east side of the city to downtown, where we can see modern and ancient buildings and how they have transformed the city. 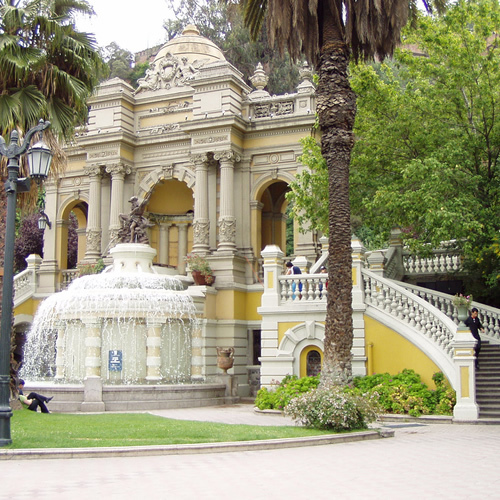 We will visit the Santa Lucia Hill, where the city of Santiago was founded in 1541. Later, we will continue to the Plaza de Armas, where we can see the Cathedral of Santiago, the Municipality, the Post Office Building and National History Museum. Our journey will continue along the Government Palace and where we will have the opportunity to walk through some of the most traditional streets and neighborhoods. We will go to the town of Pirque, place where is the Concha y Toro Winery, the largest exporter of wine in Latin America, and one of the most important brands worldwide, with a presence in over 130 countries. We will begin our tour of the Casa Patronal, with its beautiful park and lagoon. Will have access to the vineyards and learn about the different types of vine stocks. Following this, will visit their famous wine cellar where the legendary wine Casillero del Diablo is stored. Departure from Santiago toward to Viña del Mar, also known as the “Garden City” due to its great amount of parks and well-kept gardens. We will make a stop to visit the beautiful park Quinta Vergara, the Carrasco Palace. Following this, our tour will continue along the most important ocean front of the central coast, to later reach the famous clock of flowers of the city. Later, we will arrive to Valparaiso, declared World Heritage Site by the UNESCO, filled with colorful houses among the hills, parks and diverse National Monuments. One of its attractions is the Sotomayor Square, an important civic square located very close to the principal port of Chile. 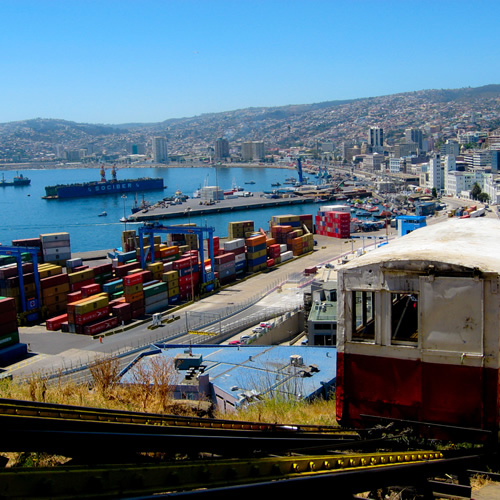 Lastly, at this point, we will navigate through this port bay, where the view of Valparaiso is most appreciated. During the afternoon, we will return to our hotel in Santiago. Departure from Santiago towards the Maipo Valley. 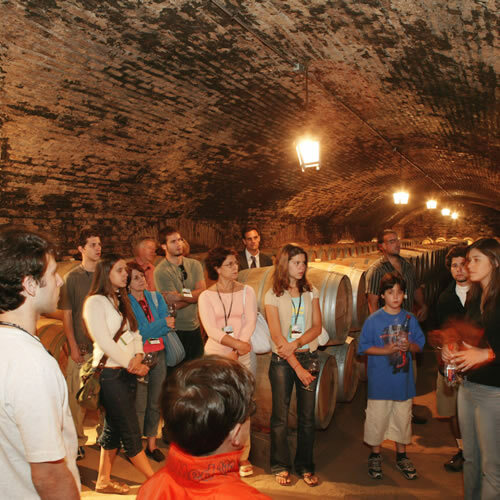 This is an ideal tour to learn the essence about the history and magic of wine. Here we will visit two of its main vineyards, all prestigious and recognized. 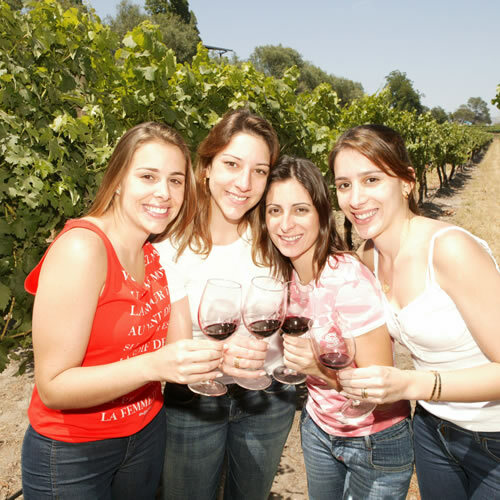 We will enjoy tasting the best wines from Maipo Valley and different grape varieties, aromas and flavors. Besides, in both visits we will learn about the wine making process, walk around the vineyards, production plants, wine cellars and see the final product already bottled. In the afternoon we will return to Santiago. Depart from Santiago to Cajon del Arenas, east of El Morado National Park. 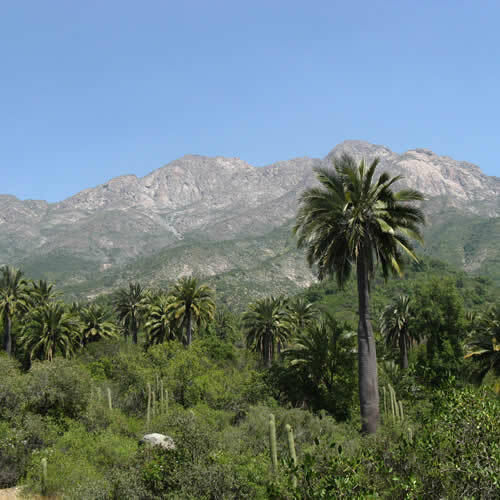 The Park is a protected area in the heart of the Andes, includes Río Morales and its adjacent mountains emphasizing El Morado mountain, with an altitude of 5,060 meters (16,596 feet). 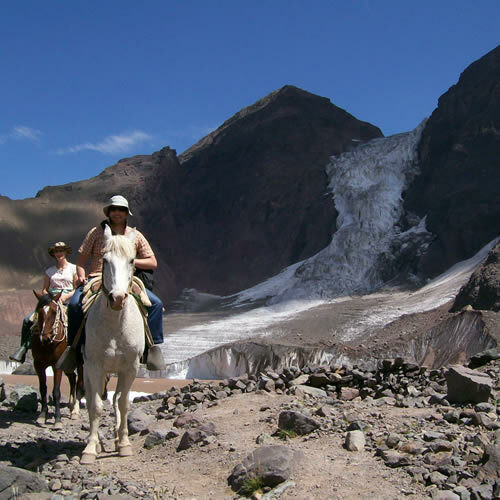 When we get to Cajón del Arenas, we will start a beautiful horse ride for about 2 hours and 30 minutes. During this trip we will be able to appreciate the impressive lake where the ancient glacier Colgante Del Morado lies. After the ride, we will enjoy a delicious Chilean barbecue, surrounded by spectacular mountains. In the afternoon we will return to Santiago. 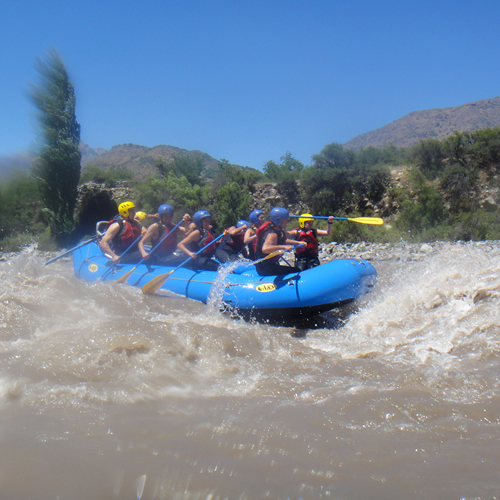 Depart from Santiago towards to the Cajon del Maipo, located 60 km/37 miles from Santiago. Here we will meet the rafting instruction team. The Maipo river born as a stream of the mountain range on the slopes of the Maipo volcano. After receiving the necessary instruction for part of our team, we wil be ready to enjoy 14 kilometres of pure adrenaline. We can navigate from moderate levels to the fastest, certainly the most exciting. When we return to Los Heroes Park we will enjoy a delicious typical Chilean barbecue. In the afternoon we will return to Santiago. We are invited to Buenaventura Outlet, a mall with great offers, where we can find the best brands in the world, at discount prices. Each brand has its own store, fully equipped to offer you a unique experience. 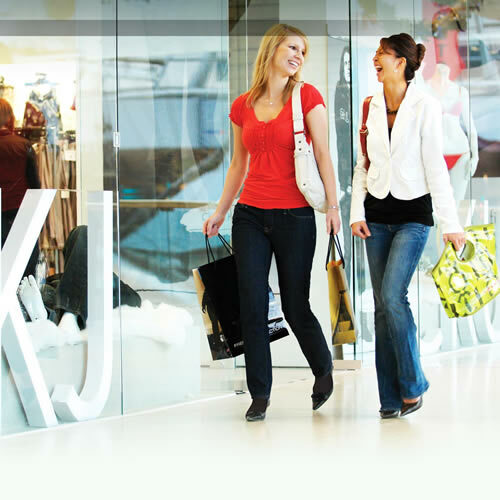 In this mall, we will find more than 60 brands, with a wide offer for the whole family. Return to our hotel in Santiago. Departure from Santiago, towards Aconcagua Valley, passing through the rural village of Olmue to La Campana National Park, where we begin our ascent. After receiving the necessary safety recommendations, we will set course to the summit, which we will reach after about 5 hours. Once on top, we will be able to appreciate the wonderful view of the Andes Mountain Range, besides observing the Aconcagua Mountain (the highest mountain in America at 6,965 meters - 22,850 feet) and the Pacific Ocean that can be enjoyed on clear days. After a well-deserved rest and enjoying our box lunch, we begin the descent, which will take us about 3 hours to get to the vehicle to return to Santiago.